Voxilating: Happy 1st Birthday, HeyTell! HeyTell just hit its first birthday, and what an incredible first year it's been! On February 10, 2010, fresh off the adrenalin of the Saints' Super Bowl victory in New Orleans, HeyTell was publicly launched with very little fanfare. 33 intrepid users downloaded HeyTell its first day in the App Store. One year later, with HeyTell exceeding 3.5 million downloads, HeyTell users are proving that there's a place in their hearts (and their work days, and their nights out) for quick, personal push-to-talk style voice messaging. And for this, we thank you, each and every amazing HeyTell user — you are truly what has propelled HeyTell's growth and acceptance as a vital communication tool for daily use. 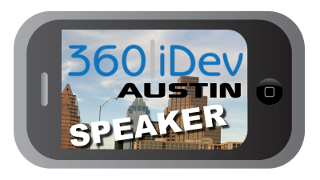 Your passionate sharing of the app with friends, family, and co-workers makes inroads each and every day in pushing forward the idea of quick voice messaging as a highly effective and personal mode of communication...not to mention minimizing the number of sore fingers and misunderstood text messages out there! We're also really happy to report that it's possible to bootstrap a product and have millions of people use it in just a year. It's surely not easy; we absolutely owe a debt of gratitude to our family, friends, and advisors, ubiquitous Internet and mobile broadband, cloud-based hosting like Amazon Web Services, and distribution channels like the App Store and Android Market. We believe this entire endeavor would have been nearly impossible to pull off just a few years ago. So what have we been up to lately? We recently released a brand new backend architecture that should scale to handle our anticipated growth through and beyond the next year and are hard at work on improved clients for iOS and Android. We're also looking towards additional platform support and expanded localization support as part of our efforts to grow internationally. In addition, we hope to have some fun announcements for you in the coming weeks! 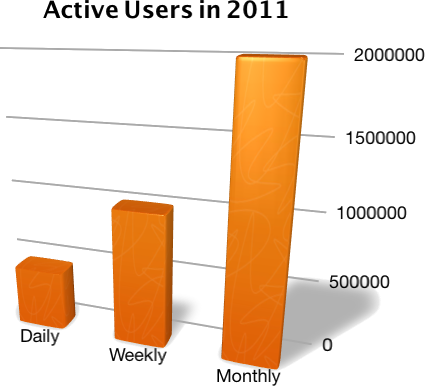 HeyTell reached over 10,000 people by the end of February 2010. 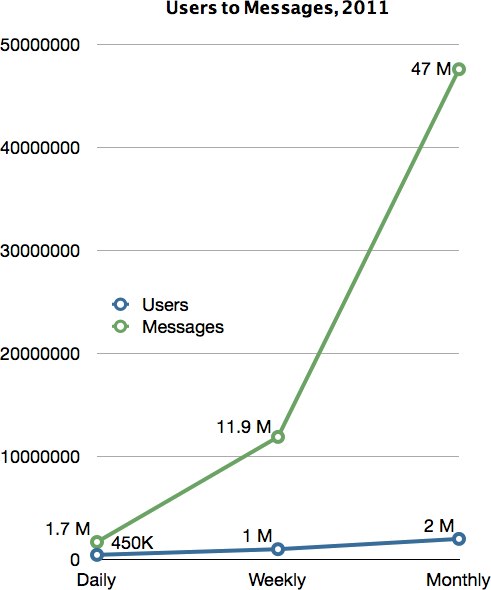 HeyTell hit the 1 million user mark in October, 2 million by early December, and 3 million in mid-January. Our biggest download day of 2010 was December 25. December 25 was also a big day for the iPod 4G - we saw 5 times the number of new iPod registrations on December 25 than any other day of the month! 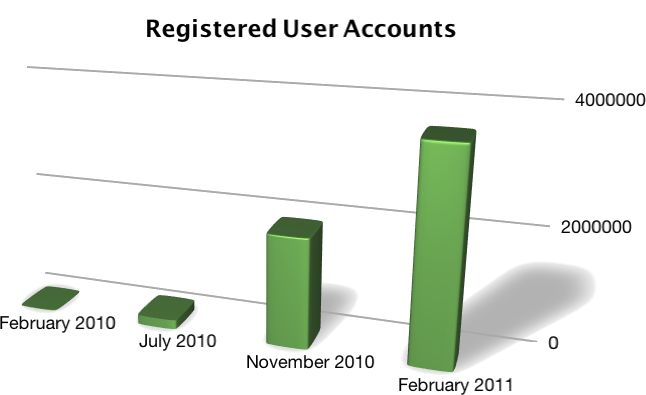 Registrations don't mean much, though, if people don't keep coming back. Around 450,000 people check in with HeyTell each day now. Each week, 1 million check in. 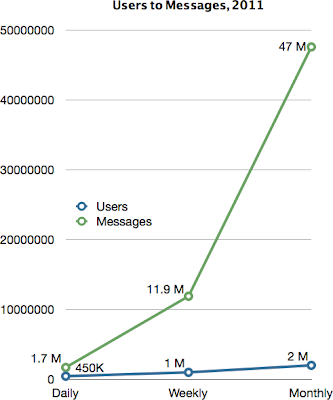 Every month, we see around 2 million users sending, receiving, or checking their HeyTells. If it were possible to play all audio transmitted via HeyTell end-to-end, it would take 44 years to play it all back! So who's using what? 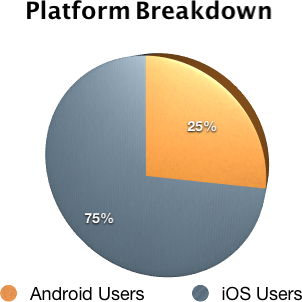 Our figures show that roughly 25% of our users run Android operating systems, and 75% run iOS. The Android audience is very diverse, there are 1114 different combinations of Android device and OS, compared to 35 iOS variations. The most popular Android phone among HeyTell users appears to be the HTC Evo; however, the most popular since December 2010 is the Samsung Galaxy S.
So, that's the HeyTell year in review—thanks to everyone who participated in HeyTell's Year One—we couldn't have done it without you! We hope you stick around and we look forward to another fantastic year ahead! Please guys, make it for BBs too! I want to be connected with all my friends, not just androids and iphoners. 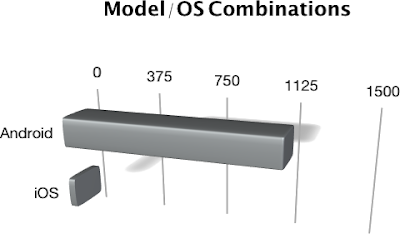 Do these metrics look the same 6 months later? 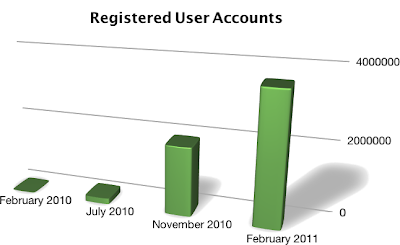 How many users are you guys up to now?